With an astute and conservative approach and a deep respect for our clients’ capital growth objectives, we have been working with high net worth clients for over the past twenty-plus years. We advise affluent, multigenerational families, owners of a small business or chains of businesses, people who hold significant assets in real estate, and people who have sold a business and wish to invest the proceeds. We also manage money for private schools. Our mission is to build long-standing relationships through our client-centric, holistic, transparent, straightforward and efficient business style. We bring access to sophisticated TD specialists as needed to help you manage your business more tax-efficiently using holding companies and other astute strategies. We assist you to plan wisely to accommodate different cash flow needs and help you invest after selling a business and manage your personal assets. Enhanced reports routinely and clearly highlight your costs and returns. We can focus on driving your portfolio’s success without worrying about the cost of trades. You have a known, budgetable cost. Our single fee, calculated as a percentage of your assets, includes access to estate planning provided by TD specialists. You enjoy tax-efficiency – our fee may be tax-deductible upfront on non-registered accounts. If you wish to remain involved in your day-to-day investment decisions, you can work with us on a traditional, transactional basis. Private foundation creation and management, or other philanthropic initiatives. Transparency. We run our own model portfolios so clients can see the individual securities they hold. We aim to be completely transparent in terms of costs – you always know exactly how much you are paying for our services. Attentive service. As a team of eight individuals, we believe that our large size allows us to deliver an exceptional client experience. The Schacter Palazzi Wealth Management Team is a part of TD Wealth Private Investment Advice, a division of TD Waterhouse Canada Inc. which is a subsidiary of The Toronto-Dominion Bank. Andrew holds his FCSI (Fellow of the Canadian Securities Institute), CIM (Certified Investment Manager), and CSWP (Chartered Strategic Wealth Professional) designations. He is also fully licensed in insurance products and solutions. 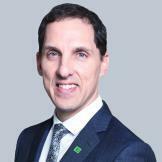 Jeff Schacter began his career at TD Asset Management in 1996 and moved to TD Wealth in 1997. Jeff values his client relationships, and finds it very rewarding being given the opportunity to deal with not one, but up to three generations of family members. Jeff places an importance in trust, and strives to achieve a level of confidence from his clients that together form a true partnership that is vital for long term personal and financial success. 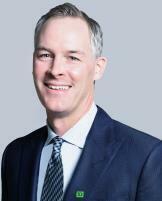 Jeff holds his PFP (Professional Financial Planner) and is fully licensed in insurance products and solutions. James has always had goal to advise affluent investors. He grew up doing his own trading and keeping a close eye on stocks for his family and friends. 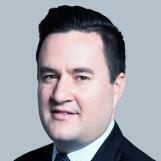 He graduated from the University of Guelph with a BComm in Finance and Marketing Management in 2007 and became a Chartered Financial Analyst® (CFA®) charterholder in 2016. James joined our team in 2014 and before that spent a year at BMO Nesbitt Burns and close to three years at CIBC as a Financial Service Representative. He advises business owners and established entrepreneurs while learning from Jeff and Andrew, whose mentorship has taught him a great deal. Outside of work, James is enthusiastic about sports. He played golf with the Guelph Gryphons at university and still plays frequently. He also plays baseball two or three times a week. 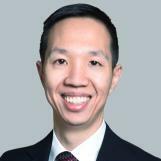 While earning his Bachelor of Business Administration at York University’s Schulich School of Business, Nino began his financial services career between third and fourth years as a summer Administrative Assistant with Jeff and Andrew in 2002. He graduated in 2003 and has spent the last fifteen years with their team, learning to place client interests first, be fair, work with integrity, and to create a good dynamic with both clients and coworkers. Nino became a Chartered Financial Analyst® (CFA®) charterholder in 2007. He leads the operational side of our team, staying on top of compliance and regulatory changes, counselling clients about their accounts, and helping out with administration on a macro level. Nino loves the business – every day brings a different challenge and the markets always throw new curve balls. He enjoys problem-solving and dealing with clients, getting things done quickly and efficiently. 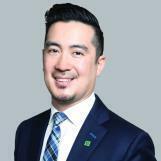 It’s no wonder Nino has won the TD Star Award in 2009 for creating exceptional client service experiences. During his downtime, Nino enjoys going out to see movies and spending time relaxing with family, friends and his golden retriever. 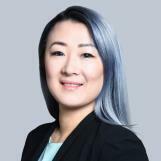 Stacey studied Business Administration at York University’s Schulich School of Business and then obtained her designation as a Financial Management Advisor with the Canadian Securities Institute. She joined TD Canada Trust in 1997 as a part-time teller during her high school and university years. She then met Andrew Palazzi and began supporting his practice part-time in 1999, becoming a full-time member of our team in 2000. Today, Stacey applies her warmth and professionalism to guide our clients through the details of managing their money. She responds to client questions and requests, enters new issues into portfolios, enters trades, makes transfers, issues cheques, prepares performance and gain/loss reports, compiles packages with all the documents clients need for tax reporting, sends out foreign exchange or cross-border wires, and prepares documentation for new account openings. Family is a high priority for Stacey. She and her husband have two young sons and the family keeps busy with their hockey, baseball and soccer activities. Jane studied CAD/CAM computer programming at Centennial College and worked in autocad for almost three years after graduating. 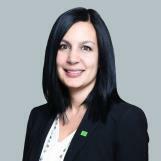 Jane began her career at TD Wealth Private Investment Advice in 2004, and later joined Andrew and Jeff in 2008. Jane primarily manages Investment Policy Statements for our discretionary clients, implementing prescribed asset allocations from Jeff and Andrew to rebalance holdings. She also performs backup support executing trades, preps for client's portfolio review meetings, and helps us to publish our quarterly newsletter. Jane enjoys interacting with clients and speaks three dialects of Chinese – Mandarin, Cantonese and Shanghainese. With two young boys, Jane and her husband stay very active with their soccer activities in summer and then switch to snowboarding together as a family in the winter months. Steve is a Chartered Financial Analyst® (CFA®) Level III Candidate, holds a Fellow of the Canadian Securities Institute (FCSI®) and the Certified International Wealth Manager (CIWM®) designations. He developed a gift for client service while advising clients during various roles at TD. 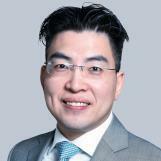 He multitasks to assist the team with investing, wealth planning, marketing, and more. Steve enjoys analyzing stocks and bonds, building portfolios, managing risk, and aims to put finance into layman’s terms for every investor. Prior to joining us in 2017, Steve graduated from the University of Toronto in Actuarial Science and Economics in 2004 and earned a certificate from MIT in Fintech: Future Commerce in 2016. He is conversational in Cantonese and Portuguese. Steve enjoys spending time with his family and friends. He also loves sports and is a loyal Blue Jays, Leafs and Raptors fan. Henry graduated from the Accounting and Finance program at Seneca College and then worked with RBC Dominion Securities as an Associate Advisor and also assisted his brother to establish a small business before joining our team in April 2017. His tasks include helping Andrew to schedule his calendar and assisting with meetings, document preparation and client service. Henry’s favourite part of the day is assisting clients with their requests; usually that involves getting money to the bank, making RSP withdrawals and arranging for US foreign exchange transfers. He also performs trades as required and speaks fluent Cantonese. In his personal time, Henry enjoys playing baseball and tennis and going out for a bite with friends.